The CMS has scrapped a policy that lowered star ratings for Medicare Advantage plans facing sanctions for poor compliance. The move, which was quietly released by the CMS in a memo (PDF) and shocked many in the industry, will immediately protect hundreds of millions of dollars at Cigna Corp., which had its Medicare Advantage plans sanctioned in January. Richard Lieberman, a Medicare Advantage data consultant at Mile High Healthcare Analytics, said the CMS' decision could be characterized as “a huge gift or even corporate welfare,” even though it could help insurers that quickly resolve problems. “CMS' actions definitely send a mixed message to plans,” he said. Previous policy dictated that if a Medicare Advantage plan faced “intermediate sanctions,” its quality rating would immediately drop to 2.5 stars. For plans that were already rated at 2.5 stars or lower, their rating would fall by one star. Medicare plans are rated on a scale from one to five, based on a host of different clinical quality measures. Intermediate sanctions indicate the CMS has found egregious instances of noncompliance, and therefore the health plan is barred from enrolling or marketing its Medicare Advantage products until the issues are resolved. In the case of Cigna, the CMS discovered its Medicare Advantage plans violated several rules, such as blocking the appeals process for people who didn't agree with Cigna's medical determinations. Star ratings carry clinical and financial impact. The CMS ties bonus payments to Medicare Advantage plans that have at least four stars. Highly rated plans that get sanctioned, and thereby lose their high ratings, stand to lose millions of dollars in extra payments. But the goal is to motivate more insurers to improve their Medicare Advantage operations. After receiving an onslaught of comments asking that the policy be thrown out, the federal government acquiesced, even though the Medicare Advantage rate notice for 2017 (PDF), released in February, did not address the policy. The new policy means sanctioned plans won't face lower star ratings, at least through 2017, therefore temporarily taking some of the muscle out of enforcement actions. The CMS will propose a revised approach in next year's Medicare Advantage notice. 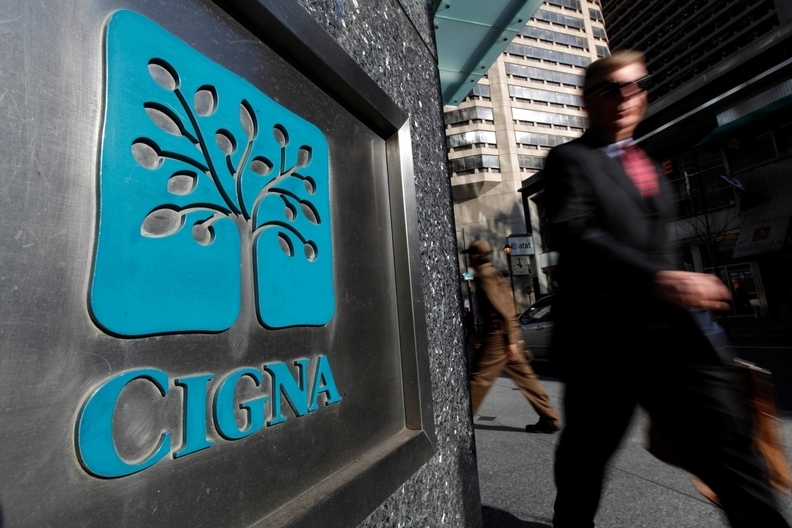 For Cigna, the reversal has huge implications. Barclays' analyst Josh Raskin estimated the policy change will save Cigna about $350 million in taxpayer-funded bonus money. For the past few years, America's Health Insurance Plans and some providers have opposed the policy. AHIP recently questioned the policy's fairness, given that the CMS has found no immediate correlation between a Medicare Advantage plan's star rating and how it performs in routine audits. CAPG, a lobbying group formerly known as the California Association of Physician Groups that now advocates for physicians nationally, called the across-the-board star ratings reduction policy a “draconian penalty” that undermined the government's goals of reforming the delivery system. “A physician group that drops from five stars to 2.5 stars will clearly feel a more substantial disruption than a low-quality group,” CAPG said in a recent comment letter to the feds. Although the CMS did not explain whether specific companies or groups forced its hand, it appears industry pressure was a major factor. “CMS recognizes that the star ratings reduction policy may have a disproportionate impact on highly rated Medicare Advantage and Part D plans when compared to lower-rated plans subject to the reduction policy,” the agency said in a statement. Kornfield said it seems the policy shift was mostly driven by how it would have impacted Cigna, a relatively large Medicare Advantage insurer. If Cigna didn't fix its issues and get its sanctions lifted by March 31, the lower star ratings would have affected its Medicare bids for 2017. That March 31 deadline comes several days before the CMS finalizes its 2017 Medicare Advantage policies on April 4. “To come out and completely rescind the policy goes further than I thought they would've gone,” Kornfield said.